The school holidays usually mark great days for companies and MNCs to organise Bring Your Kids to Work day. A lot of companies do magic shows, balloon sculpting and facepainting to occupy the children. With children’s short attention spans, this may be necessary but DO NOT forget the essence of this very meaningful event. With our experience in organising customised programme for many companies like Dnata, Ngee Ann Polytechnic and Temasek Holdings, we are offering some easy activities which you can do yourself to occupy the children. Chances are, you already have a standard SOP for corporate tour for your clients. Make it more children-friendly by adding jokes and stories. You can always ask our Family Resort Consultant (Kien) on how to make your tour a fun, child-friendly and successful one for children. Make use of your office space to create a map. Introduce them to the different job functions of your company as they go to the different places. Make kids interact with your activities! After showing your corporate video or tour, give out prizes to the children by asking them questions! Creating a ‘show ‘ for children can be a great teambuilding activity for a department to come up with! Ask someone to run a Yoga session with beginner poses. Do an aerobics workout with children songs. Group children of similar age groups together and organise a game of Captain’s Ball, which doesn’t require a lot of skills to play. Decathlon has a lot of different sports equipment, like kiddy tennis, small basketballs and archery, suitable for children. Use them to set up a few stations and let the kids try out. Safety is very important so engage your colleagues to man all the different stations to ensure the equipment are used properly and younger children are given a chance. This is probably boring for the older children; so make it interesting by having a competition or have different colouring sheets for different age group. 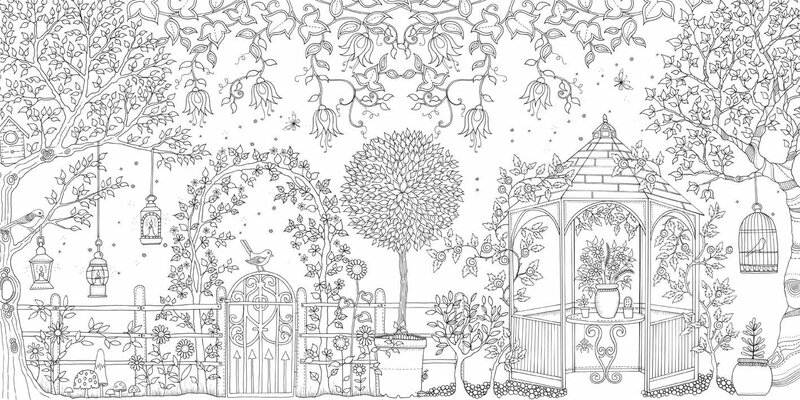 You can even customise pictures related to your company in “Enchanted Garden” colouring style. Although I am not for this idea, it is an easy way out (DIY) if you have waiting times for activities. Find videos like the Magic Schoolbus which is educational (they have topics like infra red, space and even insects! Most companies already have a projector so you can do this at almost no cost. Some companies have breakout rooms so use them to your advantage! Do not try to hide all your company’s equipment just because children are here. Who knows, may they may inspire you to create something in your company! 9. Use your company facilities! Some years ago when we we did our Kids@Work for Bloomberg, mentors led the children to discuss fun topics and then the latter presented “on TV” using their existing broadcasting facilities. What an amazing souvenir and memory, which all the children will treasure for life! In summary, plan a variety of programme! Do everything in moderation. Children cannot have too much of one thing. If you decides to engage a professional company to do this for you, you can look the article for some tips to help you choose the right company to orgaanise a successful Bring Your Children to Work for you. Ask us if you are not too sure what to do!